Denny’s Smuggler’s Dice Sweepstakes & IWG – Win a signed Solo movie poster! Win a signed Solo: A Star War Story Official Movie Poster (2 winners)! 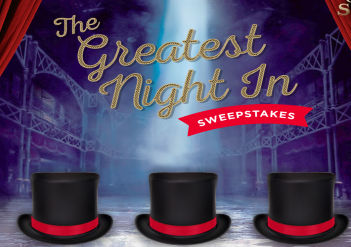 ENTER SWEEPSTAKES HERE – Denny’s Sweepstakes page. ENTRY LIMIT – There is a limit of one Game session per day and one Sweepstakes entry per day. 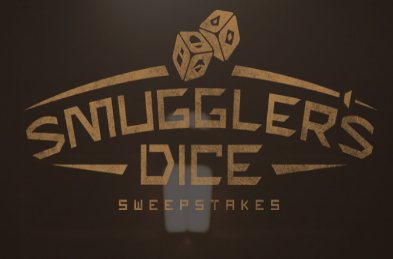 ELIGIBILITY – The Denny’s Smuggler’s Dice Sweepstakes is open only to legal residents of one of the fifty United States or the District of Columbia who, as of the time of entry, are 18 years of age or older and the legal age of majority in the jurisdiction in which they reside. 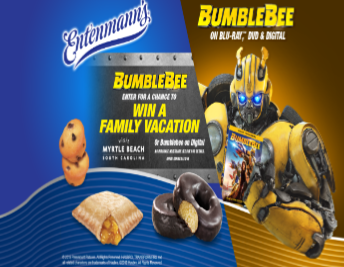 SWEEPSTAKES ENTRY PERIOD – The entry period for the Sweepstakes begins at 9:00 a.m. Eastern Time (ET) on May 4, 2018 and continues through 11:59 p.m. ET on June 25, 2018. PRIZES – Two grand prizes (each a “Grand Prize”) will be awarded. Each Grand Prize consists of one Solo: A Star Wars Story Official Movie Poster, signed by Alden Ehrenreich and Donald Glover. The approximate retail value (“ARV”) of each Grand Prize is $550.00. Frigo® Cheese Heads® Incredible Game Sweepstakes – Win a $1,500 Best Buy gift card! Win a $1,500 Best Buy gift card (5 winners)! ENTER SWEEPSTAKES HERE – Frigo Cheese Sweepstakes page. ENTRY LIMIT – one (1) Game Play per person per e-mail per day during the Entry Period. SWEEPSTAKES ENTRY PERIOD – Frigo® Cheese Heads® Incredible Game starts at 12:00:01 PM Eastern Time (“ET”) on May 16, 2018, and ends at 11:59:59 PM ET on July 15, 2018. PRIZES – Five (5) grand prize winners (each a “Grand Prize Winner”) will receive a $1,500 Best Buy® Gift Card (“Grand Prize”). Gift cards are subject to terms and conditions available at http://www.bestbuy.com/gcterms. The approximate retail value (“ARV”) of each Grand Prize is $1,500. Three hundred five (305) runner-up winners (“Runner-Up Winners”) will receive $75 in Fandango Digital Gift Cards (“Runner-Up Prize”). The ARV of each Runner-Up Prize is $75. 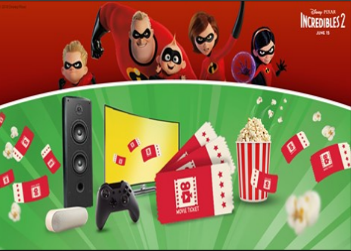 Mars Wrigley Summer 2018 Movie Instant Win Game – Win a $13 e-Movie Cash Reward! Win a $13 e-Movie Cash Reward (19,000 winners)! 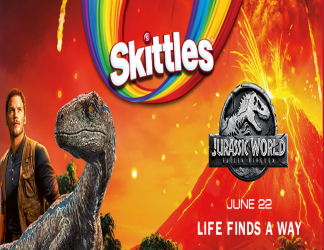 ENTER SWEEPSTAKES HERE – Skittles Sweepstakes page. ENTRY LIMIT – Limit one (1) entry per person or e-mail address per day, regardless of the method of entry. 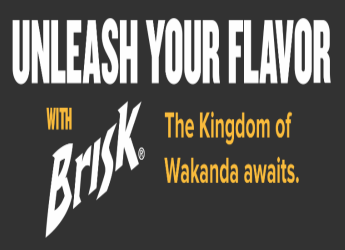 ELIGIBILITY – The Mars Wrigley Summer 2018 Movie Promotion is offered only to legal residents of the 50 United States and the District of Columbia, who are 18 years of age or older at the time of entry. 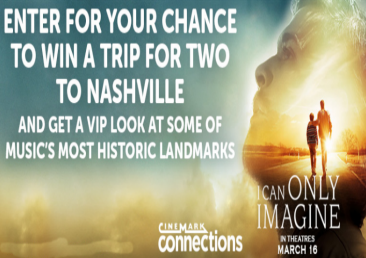 SWEEPSTAKES ENTRY PERIOD – Promotion starts on or about noon Eastern Time (ET) on March 15, 2018 and ends at 11:59:59 p.m. ET on July 15, 2018. PRIZES – $13 e-Movie Cash Reward (19,000). ARV: $13 each. The ARV of all prizes offered in the Promotion is $247,000. Limit 5 prizes per entrant. Old Navy Presents: A BAD MOMS CHRISTMAS Sweepstakes & IWG – Win a private screening of ‘A Bad Moms Christmas’! Win a private screening of A Bad Moms Christmas! Screening Party early, and send the winner and/or his or her guest(s) home with no further compensation. Sponsor is not responsible if the Screening Party or any other scheduled event is delayed, postponed or cancelled for any reason and winner will not be reimbursed for tickets. Tickets may be subject to issuer’s standard rain-check policies and procedures. All expenses, travel, and other costs not expressly stated in the package description above are the sole responsibility of the winner. Restrictions, conditions and limitations may apply. Lost, mutilated, or stolen tickets, vouchers or certificates will not be replaced. By accepting ticket(s) in connection with the Grand Prize, winner agrees to abide by any terms, conditions and restrictions provided by the ticket(s). Client will also provide a check to the grand prize winner to help cover taxes ($900). Approximate Retail Value (“ARV”): $3,650. Old Navy eGiftCard for one hundred dollars ($100.00). ARV: $100 each. TEN (10) SECOND PRIZES: Each Second Prize winner will receive two (2) A Bad Moms Christmas movie tickets. 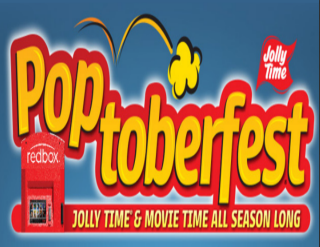 Jolly Time Popcorn Poptoberfest Sweepstakes – Win a Smart- 4K	Ultra HD TV & more! Win a Samsung Streaming 4K Up-scaling 3D Wi-Fi Built In Blu-Ray Player, a Microsoft – Xbox One S 500GB Minecraft Favorites Console Bundle with 4K Ultra HD Bluray™- White and Microsoft Xbox Wireless Controller, a Samsung – 43″ 4K Ultra HD TV & more! SWEEPSTAKES ENTRY PERIOD – Entries will be accepted online starting on or about October 1, 2017 at 12:01AM CST and ending October 31, 2017 at 11:59PM. 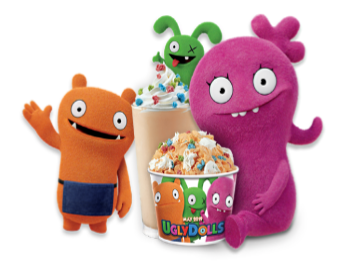 PRIZES – Daily PrizeWinners (31 total) will receive: Winner’s will receive four (4) – 3 or 4 bag count cartons of JOLLY TIME Microwave Pop Corn each month for twelve (12) months. First shipment will arrive approximately November 15, 2017 and each month thereafter with last shipment in October 2017. Daily winners will also receive fifty-two (52) Redbox® rental promotional codes. * Suggested retail price (SRP) is $233.